We do have a lot of music players present in mobile Operating systems and most of them are similar in one way or other. They bear nothing special other than playing music. But now we do have a music player which can does lot more than just playing it. To find out how the Soundwave apps is different, check out the review below. First of all go ahead and download the app which is avail on both Android and iOS app stores. 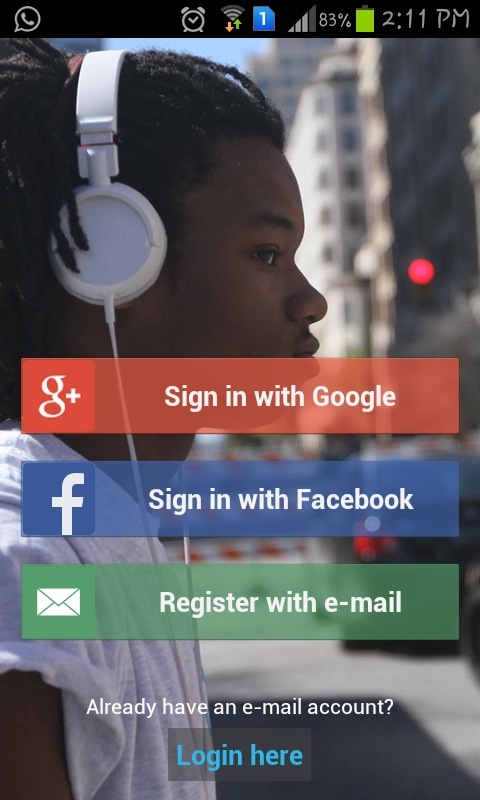 When you first open the app after installing then you will be greeted with a login screen which gives you the option to register via Google, Facebook and Email. Just setup your account as instructed. Here you will see all the songs to happen to play. You even have the ability to connect Soundwave to any other already present music player so that it could sync your songs in the feed accordingly. In this tab you can find your Twitter friends, Facebook mates or even use search bar to find one. Lastly you may receive occasional suggestions from the Soundwave team based on your searches and mood. In this tab you will find some of the best music avail out there. You can sort them by day, week, month and all time. There is even a list of particular genre of most listened music which I felt is really awesome. Now we move over to Music map where you can see what your friends are playing at that moment all over the world and you can even listen to the same music if you find it awesome. Isn’t that a great feature by any music player out there? All you need to do is draw a circle and app will tell who is listening to which music at that moment. 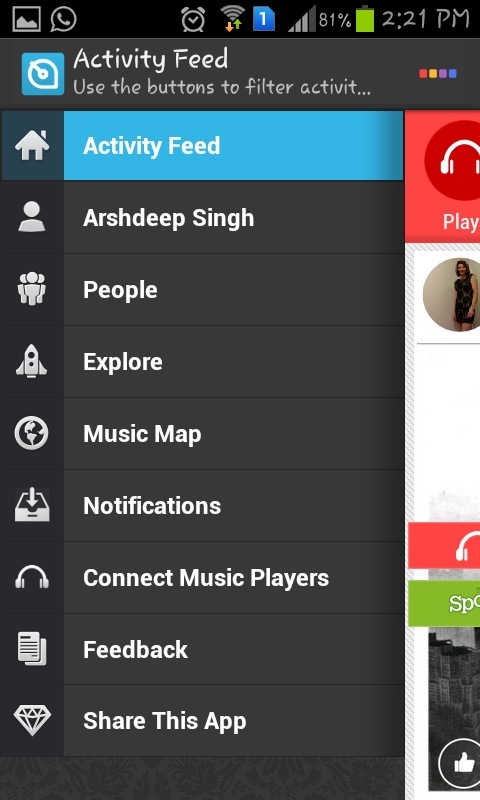 Then we have a option to connect other music players to this app so that it could sync your songs in its activity list. It does even include option for YouTube videos and that is awesome. It means you need not to go to YouTube’s native app for playing videos in between while listening to audio songs. I felt that app does it function well and doesn’t have any type of glitch. 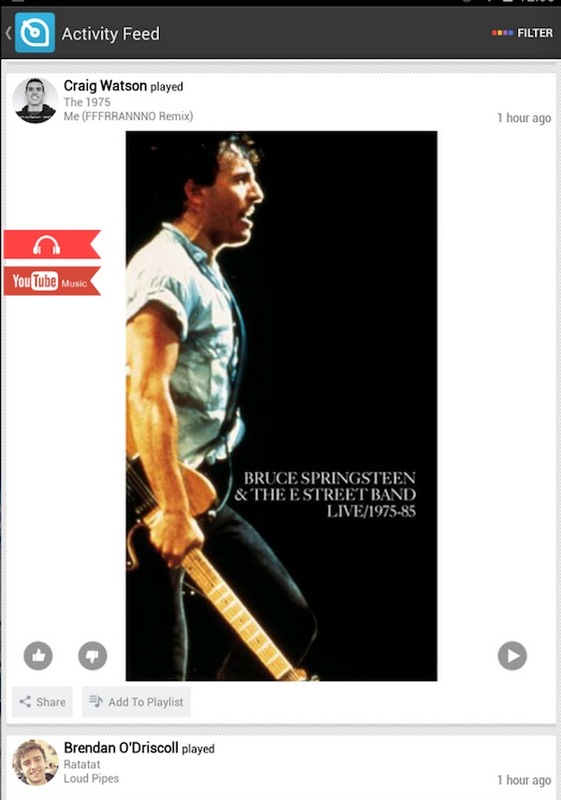 Music playing is pretty smooth and moreover app is not a resource hog as many other music playing apps are. Also there is another option which allows you to share the music you are listening to on all the major social media sites and that is cool in this app. Since this app comes for free on both Android and iOS, I recommend you to give it a try and if you like it make sure you give it a thumbs up. If you know any app which is similar to this or better than this make sure to tell us in comments below. We will surely cover that up. Wonderful post, Soundwave seems pretty cool and I haven’t check it out installed it though. I’m sure it will surely get to listen music easily.